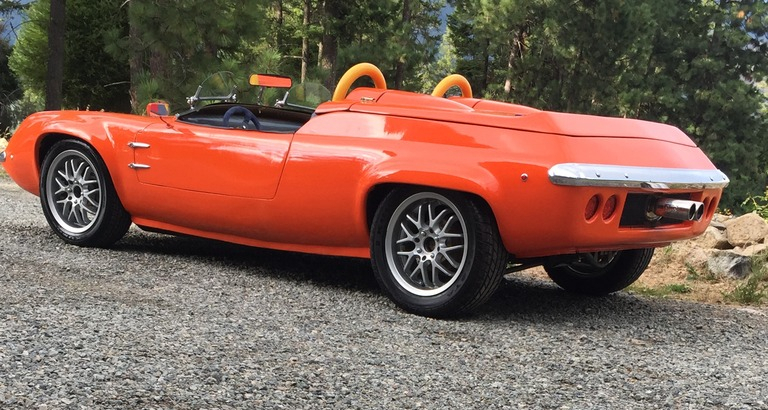 Sometimes people modify a car to simply make it the most fantastic fun machine their creative minds can imagine – and this little chopped Lotus Europa S2 Turbocharged Speedster is one of those. Even the color says “fun machine” – I should know, I used to have a Datsun 510 painted the same bright orange color, and I had a lot of fun with it! This is a car you are unlikely to lose in a carpark. You just look for the bright orange. Just to whet your appetite here is a quick drive by video from the vendor so you can hear and see this Lotus Europa “Speedster” in action. The history of the creation of the Lotus Europa has an American connection. The car was originally created out of the initial design work done for Ford by Lotus when they were looking for a quick way to go to the 24 Hours Le Mans race and beat Ferrari. Ford’s motivation having been that Enzo had upset them by not going through with a business proposal so I guess they wanted to upset him. To fast track the creation of their Le Mans car Ford went to two British sports/racing car designers Lola and Lotus. Both did preliminary design proposals and Ford chose the Lola one which went on to become the Ford GT40 which then proceeded to beat Ferrari at Le Mans and make the guys at Ford happy. Whether they succeeded in upsetting Enzo Ferrari or not I don’t know. Collectible Ferraris sell at auction for rather higher prices than collectible Fords so I suspect not. 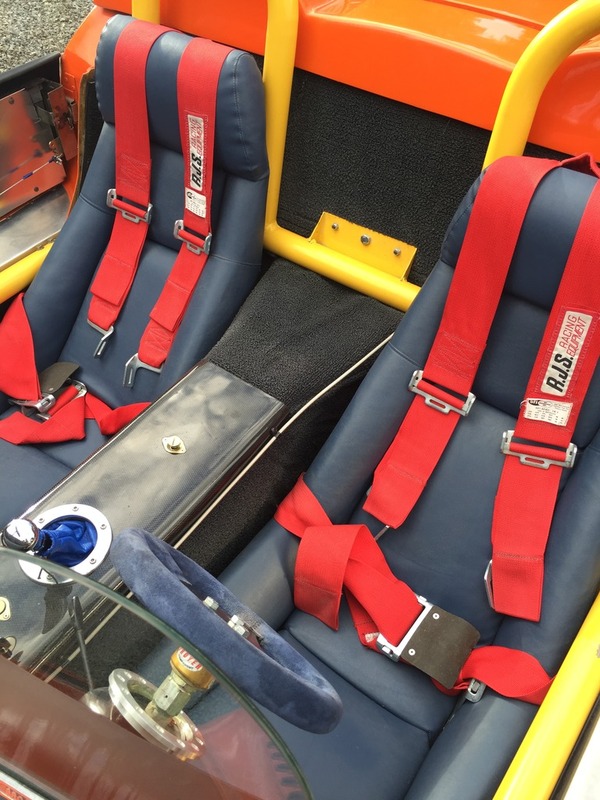 The interior of this Lotus Europa Speedster looks like its ready for a Le Mans challenge. Having had their design efforts rejected by Ford Colin Chapman and his team decided that they wanted to create a mid-engine production car as a successor to the Lotus Seven and to take over from the Lotus Elan. Colin Chapman’s design philosophy was “Simplify, then add lightness”, and the design work that had been done for the Ford project had already produced a lightweight mid engine car with a drag coefficient of .29. 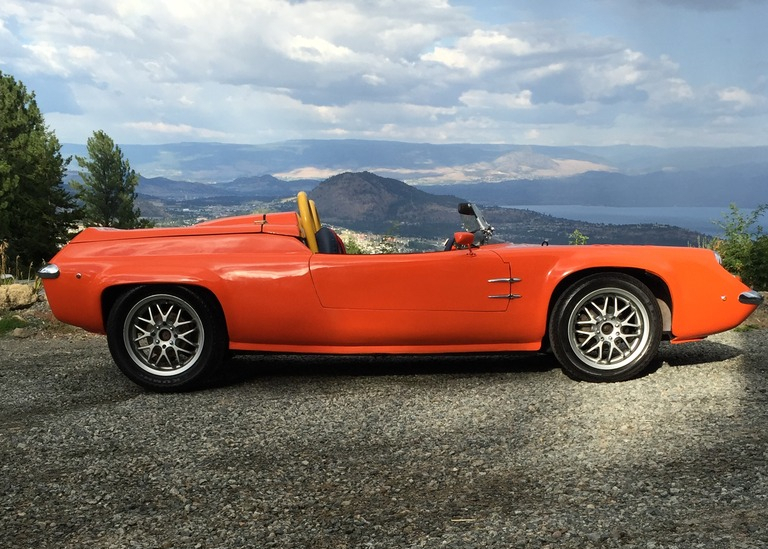 When we look at the bright orange Lotus Europa Speedster in our pictures we can immediately see a car that is very much the obvious development of the Lotus Seven. 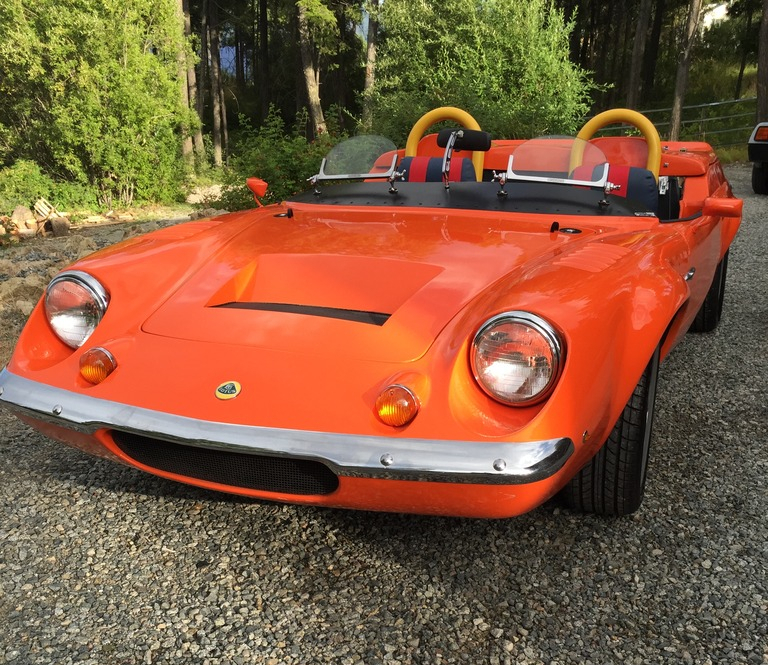 Lotus didn’t decide to build the Europa as a roadster or speedster, only as a hard top coupé. But this modified Lotus Europa Speedster is very much the car Lotus should have built. It has qualities the coupé simply doesn’t. This little walk around video from the vendor gives us an idea of the character of this fascinating little car. In typical Lotus style the Europa was built on an aluminum backbone chassis which forks into a “Y” to accommodate the engine and gearbox at the rear. 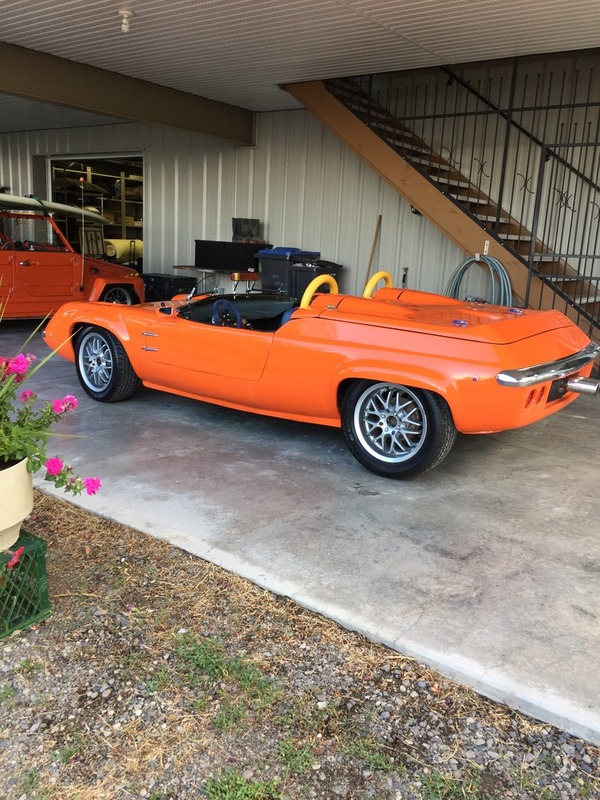 This makes for a strong and rigid but lightweight chassis for the car and it is a construction method that has allowed the roof to be cut off this Lotus Europa to create the Speedster style body. Here we see how the backbone chassis has been forked into a “Y” to make room for the mounting of the engine and transaxle. 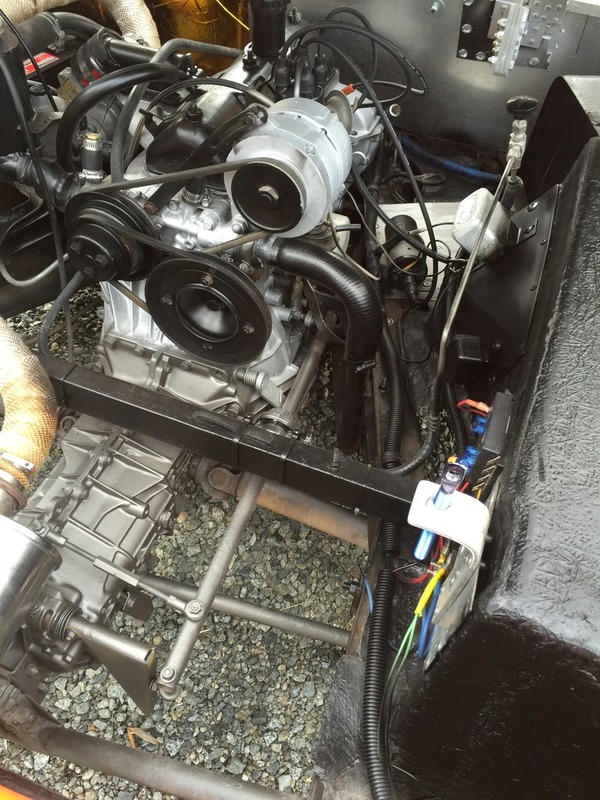 The engine of this car has a RayJay turbocharger and it tips the scales at less than 1250lb. This is a formula that should ensure that this little car provides a “spirited” driving experience that should bring a smile to the face of any enthusiast. In speedster trim this car looks like a cross between a Lotus Seven and a Europa. This car is currently up for sale on eBay and you will find the eBay sale page if you click here. If you are looking for something that is pretty much a cross between a Lotus Seven and a Lotus Europa then this pretty much fills the bill. The car also features on Bring A Trailer and you’ll find their page on it if you click here.